Simon M. Jackson provides a comprehensive range of notary services, from notarized signature authentications to notarized wills/prenups and notarized translations. Pursuant to the Notaries Law, 5736-1976 and other relevant legislation, Simon is qualified, competent and available to perform any notary activity in Israel. 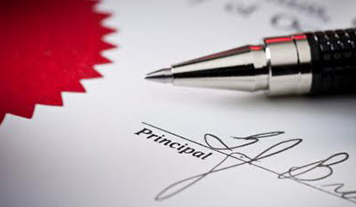 Simon provides a full range of notary services, including notarized translations and certifications. 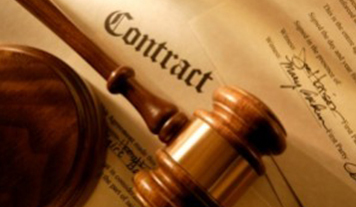 Same-day service is provided for standard notary activities. No extra charge is made for meeting clients in the evenings or at weekends (outside of Shabbat). Simon provides top-quality Hebrew-English and English-Hebrew translations, mainly of documents with legal, commercial, medical, economic or Judaic content. Notarized translations are a specialty. Simon has almost 20 years experience in the field. Simon was born in England in 1970. He graduated from Carmel College in 1988 and Manchester University in 1991, after receiving his LLB Law Degree with Honours. Simon qualified as a UK Solicitor of the Supreme Court of England and Wales in 1997, after obtaining his postgraduate legal practice diploma and serving his two-year internship period as trainee solicitor with the London Borough of Redbridge (LBR) Legal Department. Following his Aliyah to Israel, Simon qualified as an Israeli Advocate in 1999 and as an Israeli Notary in 2010. Israeli Advocate specializing in the fields of contracts, civil and commercial law, real estate, pre-nuptial agreements, wills and successions, and general legal advice. Professional Translator Hebrew-English and English-Hebrew translations, mainly of documents with a legal, commercial, medical, economic or Judaic content. Israeli Notary specializing in notarial authentication of signatures, powers of attorney, affidavits, notarization of translations and certifications, apostilles and a variety of other notary processes. Simon M. Jackson services professionals, organizations, government offices, and private clients. Simon’s clients include prominent Israeli non-profit organizations, such as “Torah MiTzion – Religious Zionist Kollels,” “Machon Ohr Israel - Isralite” and “Beit Hillel – Attentive Spiritual Leadership,” to which he serves as legal counsel on a variety of issues of law and practice, both within Israel and globally. With over 20 years experience in the field of translations, Simon is also a certified translator for the British and Canadian Embassies in Israel. Tips and Tricks Series is a great way to be kept informed of your legal rights in Israel and to receive useful tips on dealing with the various authorities. The Tips and Tricks Series is being continually updated and expanded. To receive the latest in the series directly to your email box, fill in this form below. Thank you very much for the quick work Simon! I hope too we have the opportunity to work together again. Our organization hired Simon to assist in several sensitive legal issues in the founding of a non-profit organization structure. Simon was able to quickly analyze our needs and work with our organization efficiently and discreetly. I highly recommend Simon for any legal matter large or small. His integrity, broad knowledge and excellent interpersonal relations make him an outstanding resource. As for Simon, I have known him since he was a child. He is an excellent, diligent and honest lawyer. He is blessed with a good brain and even though he is persistent on behalf of his clients, he is not antagonistic â€“ unless he has to be. I strongly recommend him. He works like lightning. He is also a notary. Try him. You’ll be glad you did. Dr. Ari DaleCEOJericho Date Company Ltd.
Simon assisted me with a personal legal matter requiring expert knowledge of English and Hebrew. As both translator and attorney, Simon comes highly recommended. I have also known Simon on a personal level for many years. As well as being a very talented lawyer, he is a knowledgeable, trustworthy and, above all, friendly individual who is a pleasure to work with. I retained Simon for some legal work. In addition to providing valuable advice, he was accessible, pleasant and professional. His rates were very fair. I would use Simon again and am happy to recommend him to others. I have worked with Simon for several years now, and have found him to be a skilled professional guided by the highest standards of quality, precision and integrity, while also being friendly and a pleasure to work with on a personal level. I’ve learned a great deal from him during our work together. I would recommend (and have recommended) Simon to clients unhesitatingly. My business wouldn’t be where it is today without Sample & Testing. They’re simply the best. It was an excellent job. Everyone involved was extremely impressed and had only minor changes. I had the most – mainly stylistic. You will find the final text attached for your interest. Thank you again for the fine work. Dear Micky, please find attached the bill for the translator’s work. As you know, he did an excellent job, on a difficult piece and within an extremely short period of timeâ€¦.